Within the organization, whenever we speak at different events or to groups of people or volunteer tables, we talk pretty frequently about advocacy, and more importantly, what it means to be an advocate. Is it providing transport services? Is it fundraising? Is it sending letters, cards, and goods? Is it merely sending out good vibes? I find myself asking all the time- what actually makes a person an advocate, am I an advocate? 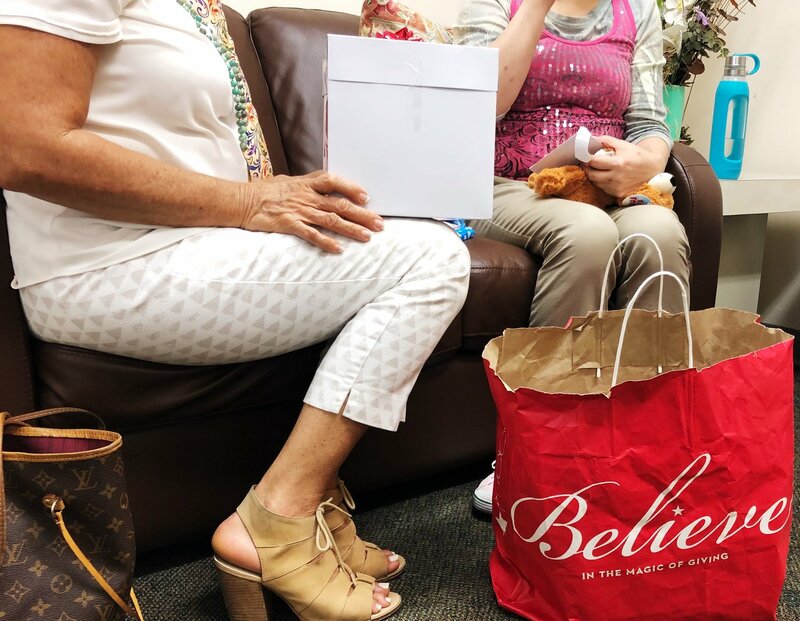 As the holiday season approaches and people are out buying gifts for their families and friends, here at Path2Freedom we spent the past week bringing gifts to some of the strongest people we know. Traveling for most of the day, some of the team headed up and down Southwest Florida delivering presents and visiting with our survivors at various locations. We first visited a student getting ready to start college with fantastic goals of being a pharmacologist, “I want to work for the FDA,” she said matter-of-factly when we asked her about what the dream job is. 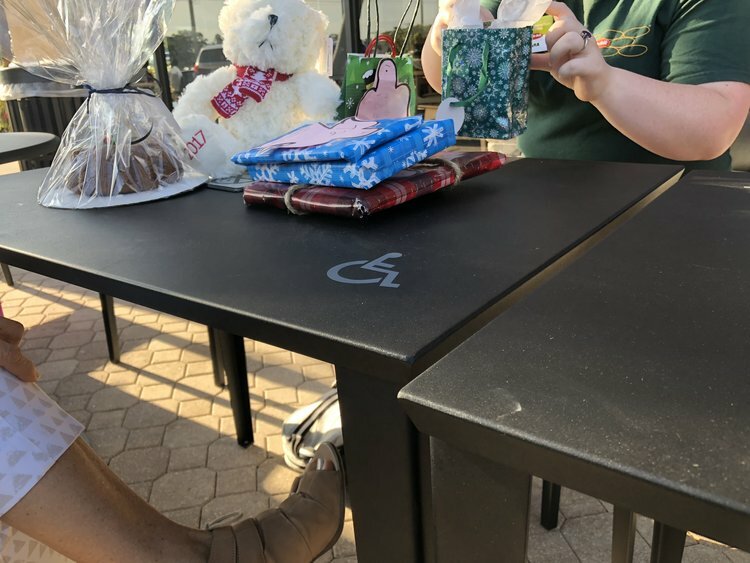 She’s funny, loves makeup, and right before she opened it said, “if this is a Sephora gift card, I’ll just die,” gushing over it because this teenage girl got exactly what she wanted for Christmas. At that her face countenance changed. She said quietly, “I usually call my son,” and she started to cry. After a few moments, she said, “I want to go home.” Because of the nature of her case, she can’t. She is essentially caught in this middle ground until her case is processed, until the court does what it is supposed to, until she can finally put this all behind her. It occurred to me then that these weekly visits are sometimes the most social interactions she has in a week while she awaits what’s next. At last, we made one more stop. The last woman I met had more energy inside of her than I have ever seen in another human being, in fact, upon recognition she sprinted down the hallway into Ana’s arms, and for the whole duration of time we were there she didn’t let go of her arm. “I’m so happy” she cried over and over again. She kept reaching up to put her hands on her chest and just smile, it was as if she had to hold her hands there to keep her heart from bursting out of her chest. When we left her, she waited by the door, making sure we got into our car safely, waving until we drove out of the parking lot. Even after being through so much, she wanted to take care of us. As we drove away, I understood- this is what being advocate is. It’s everything. It is sending good vibes, it is fundraising, it is transport services-but it’s also driving all day just to spend five minutes with someone who needs a little positivity. It’s also creating marketing materials, sitting in meetings- it’s talking about this. It’s making sure everyone knows that this holiday, there are people who don’t get to go home because they are still fighting. It’s doing everything we can, in any way that we can to make sure that by this time next year, they won’t have to will for it to happen because the fight will be over.